While Guangzhou is one of China’s major cultural and economic cities, its unique Lingnan culture of more than 2200 years means it’s not necessarily representative of the rest of the country, enjoying its own regional customs. "Yum Cha", which literally means "drinking tea", is ancient tradition in Guangzhou. 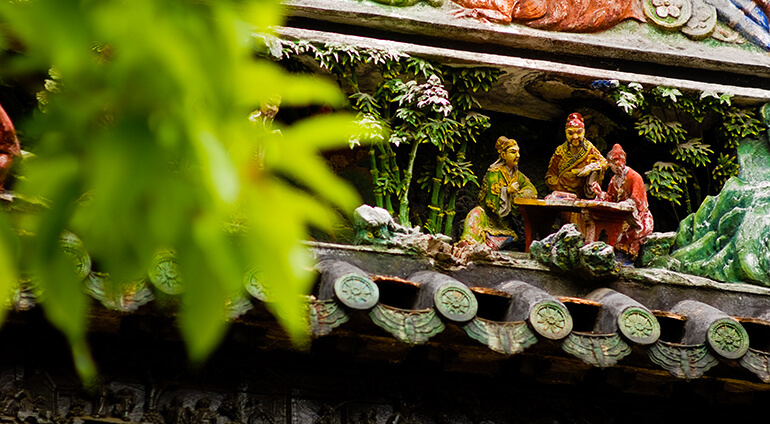 A Cantonese custom, the drinking of morning tea can be traced back a hundred years to the Qing Dynasty. The city’s diverse residents gather at noisy tea houses for a cup of Pu'er Tea, along with snacks such as spare-ribs, chicken feet and shrimp dumplings. At Guangzhou Opera House you can experience some local culture in an extremely modern setting, with daily tours bookable in advance, while Guangzhou Tekkuan Live House is also a good place to hear some local music (as well as visiting foreign acts).